GitHub - sylvainjule/kirby-color-palette: A color palette to pick colors from in the panel. Kirby 3 only. A color palette to pick colors from in the panel. Kirby 3 only. Want to be notified of new releases in sylvainjule/kirby-color-palette? 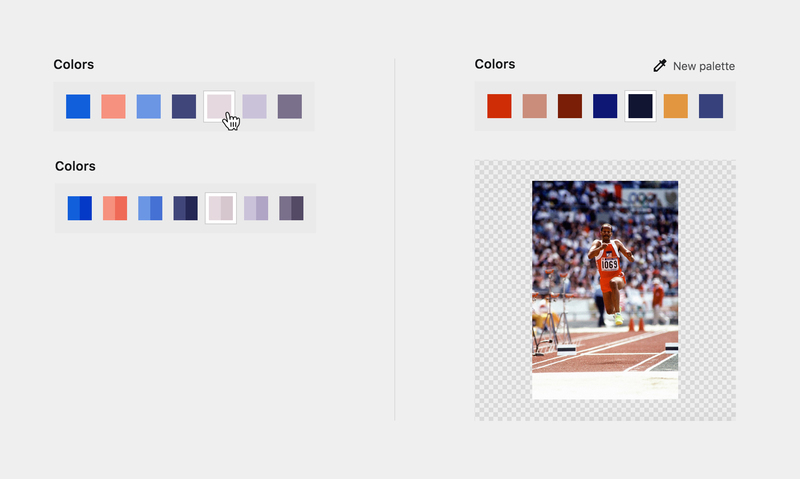 A color palette displayed in the panel, helping you pick predefined colors / palettes. The plugin accepts both an array or a structured object. The field will use the first color of the object as the background-color. You can set dynamic options / query your options from a different field. Just make sure the value returns a CSS-valid color. The display style of the color blocks, to pick from single or duo . Default is single. If the selected style is duo and the options are structured color themes, the field will use the first color of the object as the left color, and the second as the right color. The size of the color blocks, to pick from small, medium or large. Default is medium. If set to true, selected colors can be unselected. Default is false. The default value to be used if the field has no set value. Will be ignored if it doesn't match an option. Default is false. You can extract a color palette from a page's image file by activating the extractor option. It will override the manual options, if specified. Default is false. Alternatively, you can make use of the autotemplate option (do not add the above extractor option in this case). If the page has at least 1 image matching the given template (if 2+ are found, the field will use the first one), options will automatically be extracted from it on load. Note that there is no realtime-sync, the page needs to be reloaded in order for the plugin to detect a newly added image. The best way of achieving this without having to manually refresh the page is to place this field and the files section under two different tabs. In both cases, the maximum number of extracted colors can be set with the limit option. Default is 10. The field will only store the selected color. Note that in this case, the plugin automatically adds the key of the selected color, in case you'd want it to deal with custom classes, etc.